You must have heard or have worked on Windows Domain Controller but its time to configure Ubuntu Linux Domain Controller. In this article we will show you how to setup and configure Ubuntu Linux as a Domain Controller. 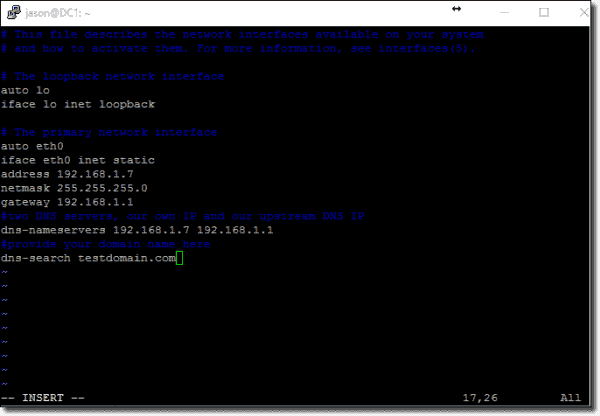 Notice that during the installation of our domain controller, two dns-nameservers are listed in our interfaces file (192.168.1.7 and 192.168.1.1). 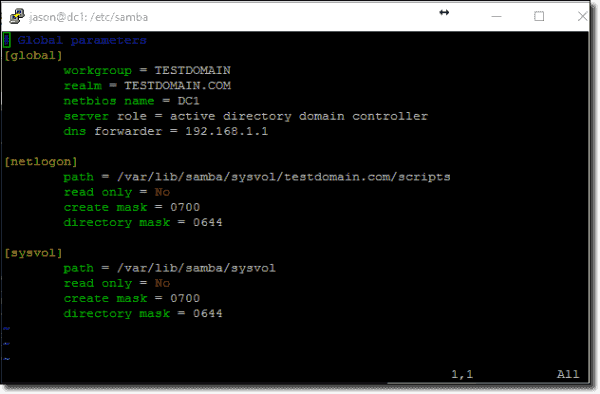 Once we have the domain controller running, we’ll remove the secondary upstream DNS server, as SAMBA could have problems identifying its own DNS services. Also, provide the domain name when defining the dns-search variable. 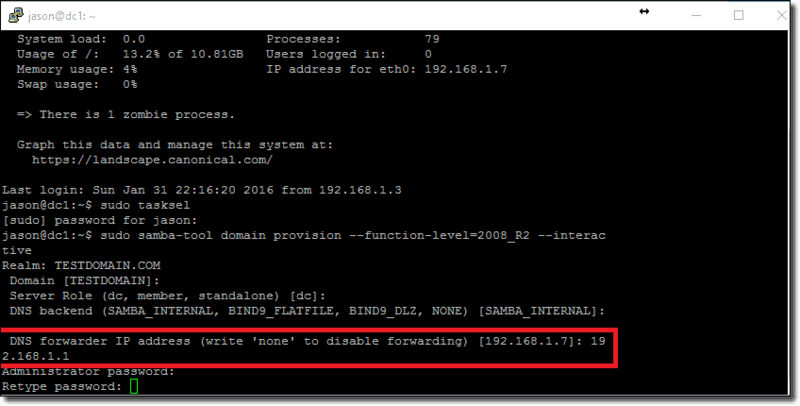 Now provide /etc/hostname with your hostname (DC1). The following screenshot demonstrates how the file will look after editing, commenting, and setting the hostname. 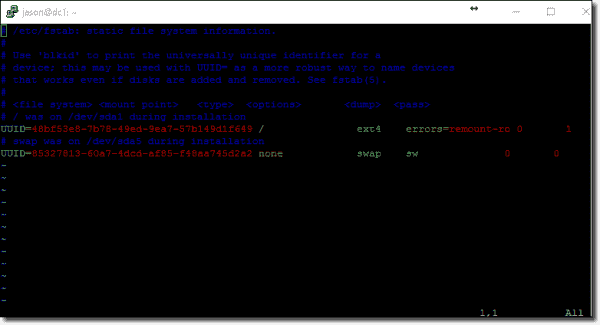 After editing the hostname configuration file, it should return the correct name when issuing the command $ hostname. If you do use tasksel, select SAMBA file server. Press enter. Now enter the netbios name for our domain name [TESTDOMAIN]. This is our default, so we can just press enter. Our Server Role will be a domain controller [dc]. Again, this is the default. We can simply hit enter. Press enter again to confirm that we want the default DNS backend to use SAMBA_INTERNAL, which will add DNS entries for computers when they are joined to the domain. 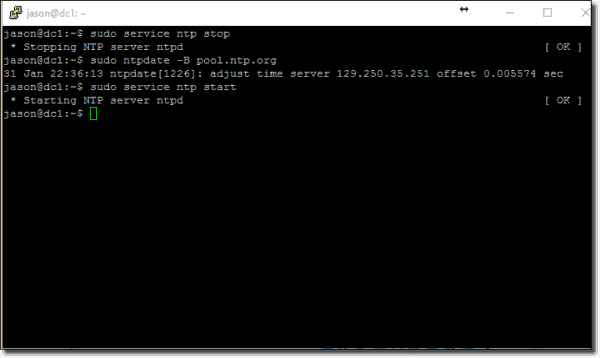 The DNS forwarder IP address is the address used when a DNS entry cannot be found on our own DNS server. I like to use my own default gateway, 192.168.1.1, for the forwarder, but you can use Google’s public DNS server 8.8.8.8. We’ll now be prompted to enter the Administrator (Domain admin) password for our domain. Use a long and complex password; if this part fails due to a weak password, it’ll be a difficult problem to rectify. 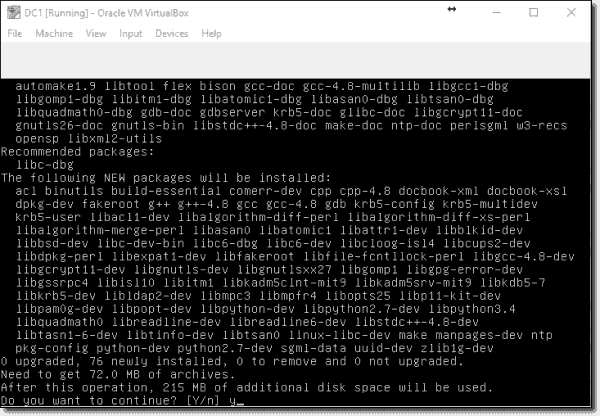 Modifying the permissions of the default netlogon and sysvol share directories is the last configuration change to make before we can start adding computers to our domain. 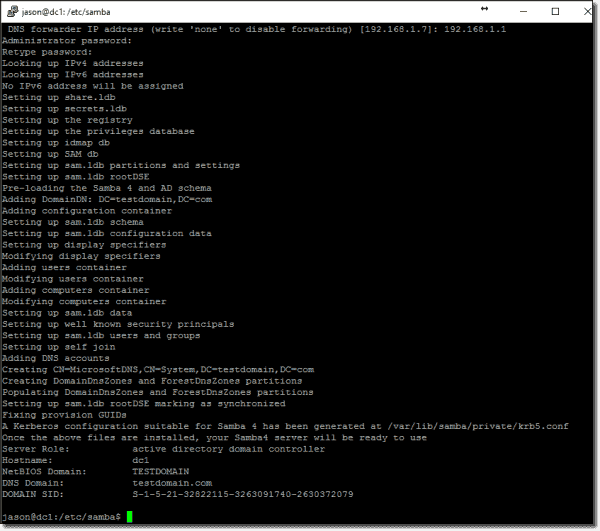 To do this, edit the newly-generated /etc/samba/smb.conf file to include 0700 and 0644 permissions for both directories. 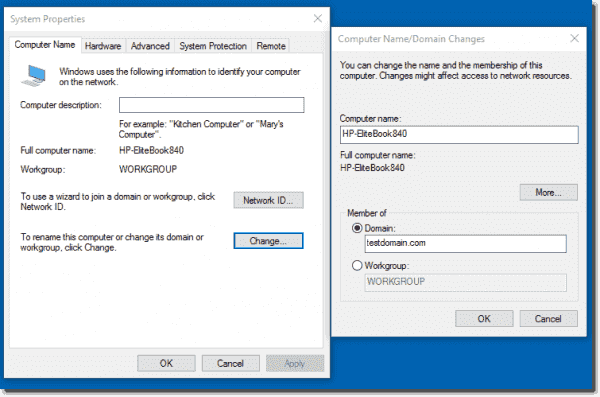 After the domain controller has completed its reboot, Windows workstations can join the domain. For Windows 7, you’ll need Windows 7 Pro or Ultimate. For Windows 8 and Windows 10, you’ll want at least the Professional version. In Windows 10, right-click on the start menu, and click System. Under Computer settings, click Change Settings and then the Change button. 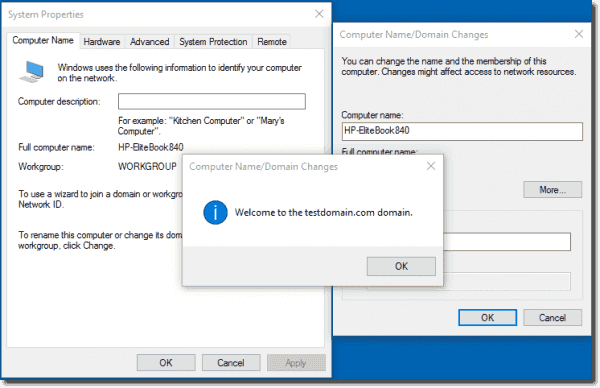 Enter the name of your domain (testdomain.com), and click OK.
An Active Directory Domain Controller (AD DC) for the domain “testdomain.com” could not be contacted. Once your Windows workstation can contact the domain controller, you’ll be greeted with a prompt to authenticate. Type in the user name (Administrator) and the password you provided during the SAMBA-tools setup. Click OK, and your workstation will now be a member of the domain. You’ll be prompted to restart the workstation. After the reboot, log on to the domain with your username (Administrator) and password. You can now use Active Directory Users and Computers (ADUC) as well as other administrative tools to configure a domain and set up user accounts, GPO’s, and home directories.